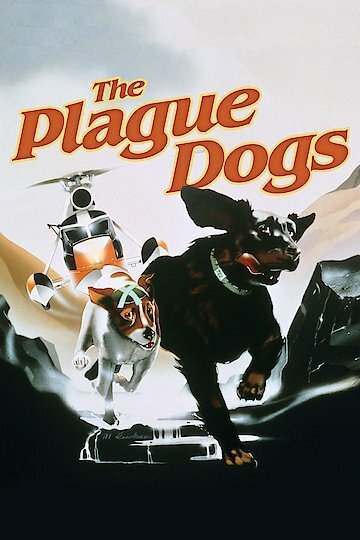 The Plague Dogs is an animated adventure movie. It is a movie about two dogs and their adventures in life. These two dogs grew up in captivity. They were raised in a lab. One day they escape and must suddenly live in the wild. In this animated adventure they get the help of a fox who teaches them to survive. The escape becomes news with the rumor that the dogs carry a plague from the lab. Living life in the wild is not always an adventure. Being raised and escaping from a lab doesn't mean an animal must have the plague. The Plague Dogs is currently available to watch free on Tubi TV and stream, download, buy on demand at Amazon Prime, Amazon, Vudu, iTunes, YouTube VOD online.